Colour Fixer. A product for every house. Fix and enhance the color of your new and old cloths. We are leading manufacturer and supplier of Laundry Detergent chemical from Pune. Being a leading enterprise of this industry, we are offering a huge range of Concentrated Liquid Laundry Emulsifier. A wide range of products for commercial laundries, dry cleaners, house keeping, kitchen hygiene and building maintenance applications. Owing to years of experience in the industry, we deliver quality assured range of Chlorine Bleach that is used as laundry bleach and removes hard and trough stains from clothes. They are safe to use and free from harmful chemicals. Offered product range ensures long shelf life and is delivered in air-tight packaging. We are engaged in offering our clients a qualitative range of Laundry Chemicals. We have a wide assortment of Laundry Chemicals that are manufactured using high grade raw material. 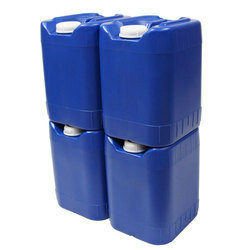 Clients can avail these Laundry Chemicals at industry leading prices. High performing and scented fabric softener for all kinds of fabrics and textiles. Reduces static cling. Emulsifier with stain removing and better performance on the fabric.